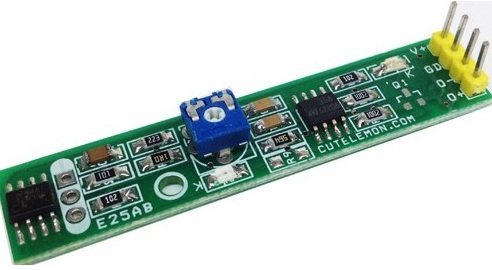 This is a simple fan controller with single LED temperature status light using an ATtiny85 microcontroller and DS18B20 temperature sensor. 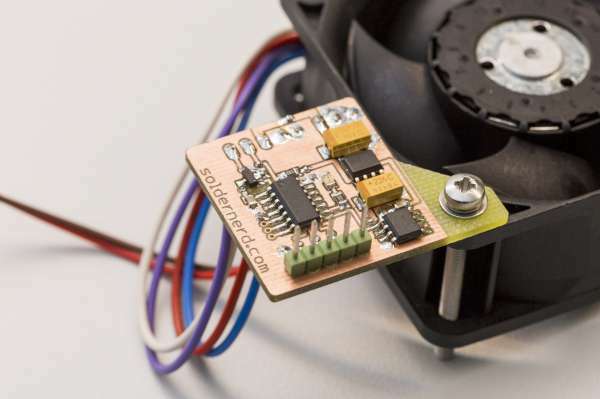 The fan is turned on/off based on temperature sensed and the controller goes in sleep mode when the temperature drop below a predefined threshold. 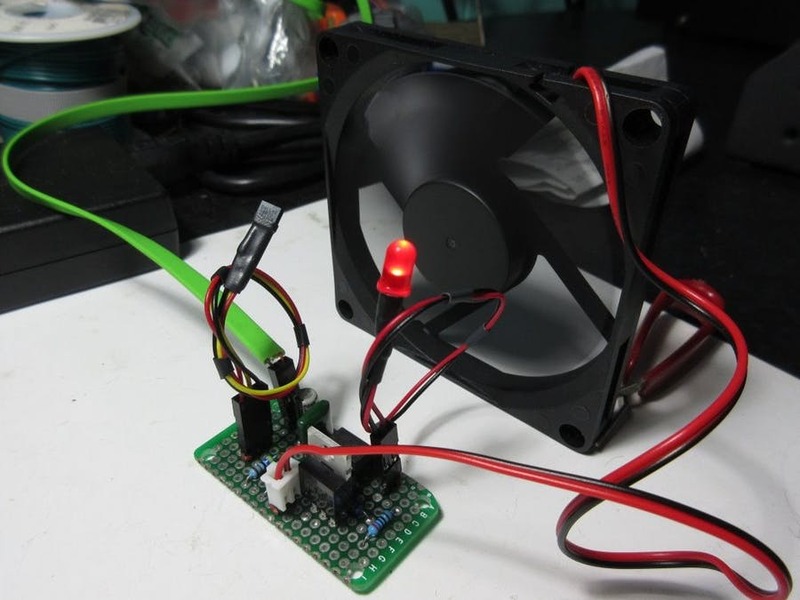 Simple ATtiny85 fan controller to turn a fan on/off based on temperature. 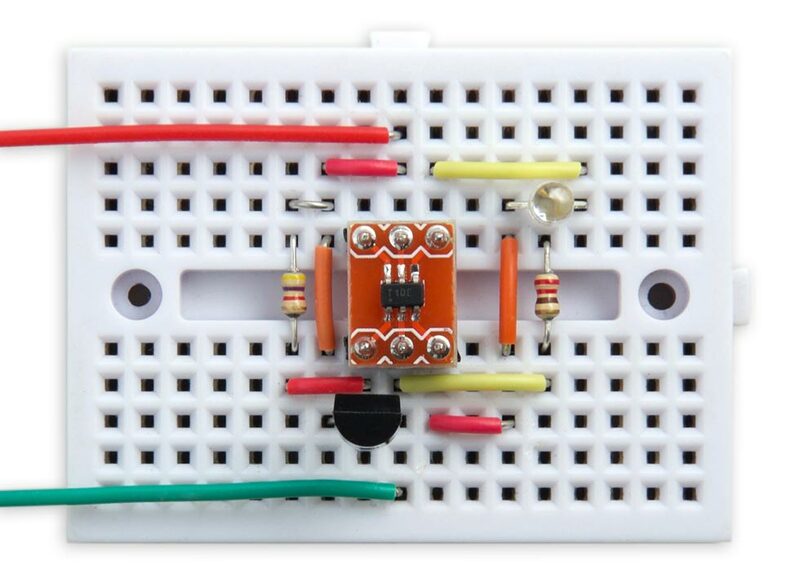 Includes an LED as a temperature indicator. LED is dim at start of fan on temperature and blinks when above a max temperature. Fan is not PWM controlled since I am using a small 5V fan which is quiet running at 100%. The controller is in sleep state while the temperature is below the minimum threshold and wakes up every ~8 seconds to recheck the temperature. When temperature is above minimum threshold, the controller will stay awake checking every second till the temperature falls below the minimum threshold. The code uses ds18b20 library by Davide Gironi.